Arturo Fuente is perhaps the most well-known brand in world of Dominican cigars, becoming a household name after perfecting the Dominican puro in the early '90s with the introduction of the legendary OpusX cigar. Since this time, the company was known for its innovative leaders, Carlos Fuente Sr. and Carlos (Carlito) Fuente Jr. Sadly, the cigar industry was dealt a major blow when Carlos Fuente Sr. passed away in August, 2016. But not long before his passing, Carlos Fuente Sr. was inspired to craft one last blend -- rightfully titled Casa Cuba Divine Inspiration. In 2013, Carlos "came out out retirement" as a blender, introducing an old-school smoking experience that was inspired by the early days of Arturo Fuente -- when the cigars incorporated Cuban tobacco. This cigar was named Casa Cuba, an award-winning brand that marked the first completely new cigar from the company since the groundbreaking introduction of OpusX 18 years earlier. But, as story goes, Carlos was awoken from a dream years later, divinely inspired with an alternate version of the Casa Cuba blend. As he was not in healthy enough condition to travel to the Fuente's factory in the Dominican Republic, he simply phoned-in the recipe to have it crafted remotely. 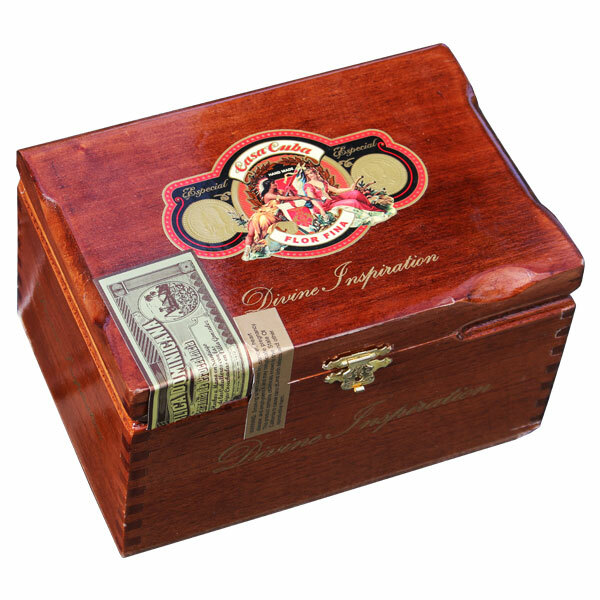 This cigar became known as the Casa Cuba Divine Inspiration and it is the last cigar made by Carlos Fuente Sr. -- one of the most impactful men the cigar industry has ever known. Unlike the regular release Casa Cuba, Divine Inspiration is limited in production, arriving to select retailers in small batches as product is deemed ready. The Fuentes have not disclosed the blending tweaks made, but the cigar is thought to include an Ecuadorian Havana-seed wrapper and Dominican fillers/binder. Since it was first released in 2016, Divine Inspiration has been critically acclaimed, touted as far superior to the original blend due to an enhanced complexity of peanuts, baker's cocoa, freshly ground coffee, intricate cabinet spices, and a heavy, custard-like creaminess in the finish. Arturo Fuente Casa Cuba Divine Inspiration is a rare treat for the discerning connoisseur -- be sure not to miss out and place your order while supplies remain.